Our GOOD KOFFEE is most definitely greater than the sum of its parts. Importantly, this is a raw, unfiltered and fermented living brew with sweet and tart notes. Packed with naturally occurring GOOD stuff thought to aid digestion and increase energy giving you that feeling. Raw. Alive. Kicking. 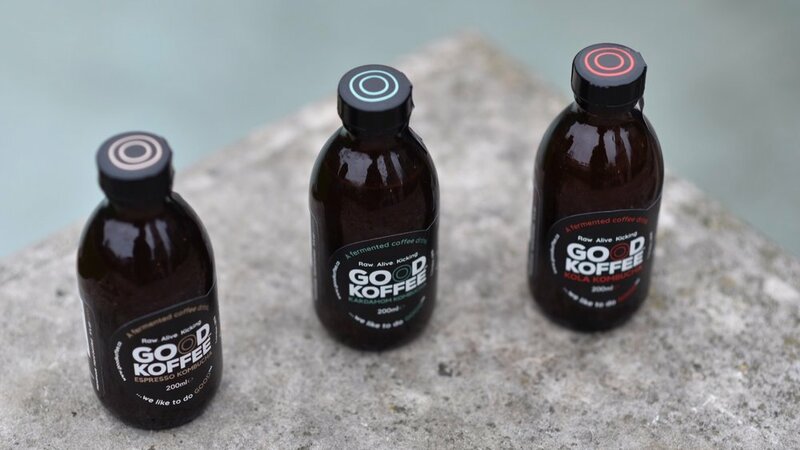 GOOD KOFFEE can be enjoyed at anytime of day and is best kept chilled until you are ready to open one of your perfectly portioned bottles. Drink GOOD KOFFEE instead of the more common sugary soft drinks and fruit juices. It can also be a great alternative when you are having a knees up, but don't want the sore head in the morning!